Swift is a personal blog WordPress theme.It offers the latest features in an elegant design, it will take you only few minutes to install and run the theme. 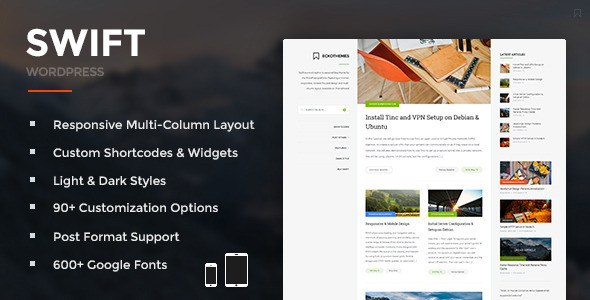 Set up theme is quick and easy.It contains many settings features like layout, cover style, sidebar, categories. Each blog post can be personalized with some options to use its own style, such as, post format, alignment, background color, background image and text color.